How well do you know the Houston Texans? Try our quiz on the Houston Texans and see how many you can get correct out of 10. Challenge your friends and see who is the champion. The Texans are playing at the NRG Stadium in Houston, Texas. Founded in the early 2000s, they play in the AFC division. The team was founded by Bob Mc Nair, who still owns the team and his the CEO. The most famous player of the Houston Texans is probably Justin James “J. J.” Watt. 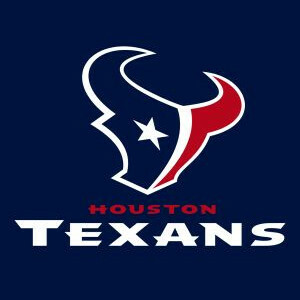 Jadeveon Clowney, Whitney Mercilus, Brian Hoyer, DeAndre Hopkins, Kareem Jackson and Alfred Blue are also popular players of this team. 1. In which year were the Texans founded? 4. Who is the Texans longest serving head coach (in terms of regular season games)? 5. How did the Texans finish the 2014 season? 6. How many Division Championships have the Texans won? 8. How many Super Bowls have the Texans won? 9. Who holds the record for all-time points scored for the Texans? 10. What is the Texans best season record? This entry was posted in AFC, NFL and tagged Houston, NFL, quiz, texans. Bookmark the permalink.